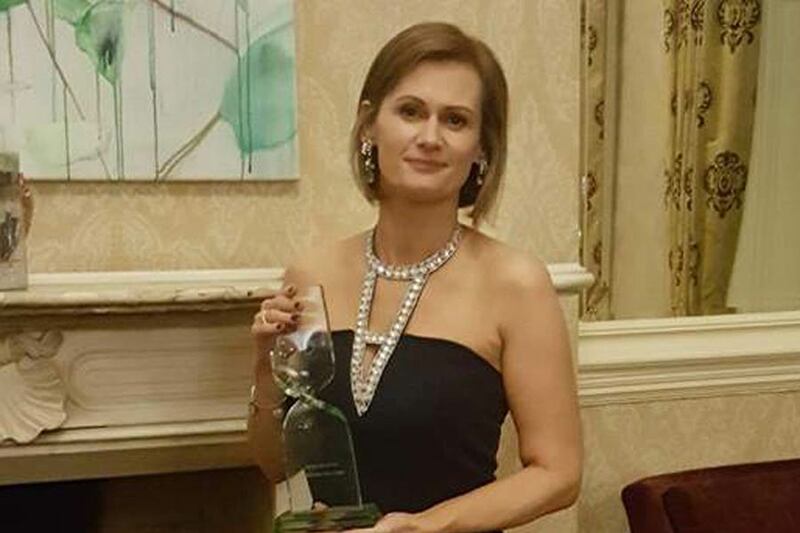 So far peterkinvara1916 has created 7 blog entries. 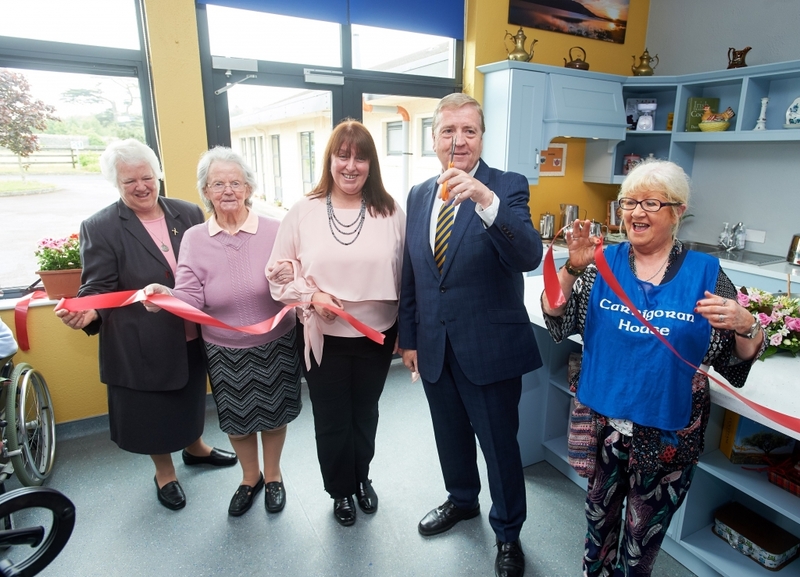 At the official opening of the newly refurbished Activity Room in Carrigoran House to celebrate them being national award winners for their Social And Recreation programme as part of annual Nursing Homes Week. Photograph by John Kelly. 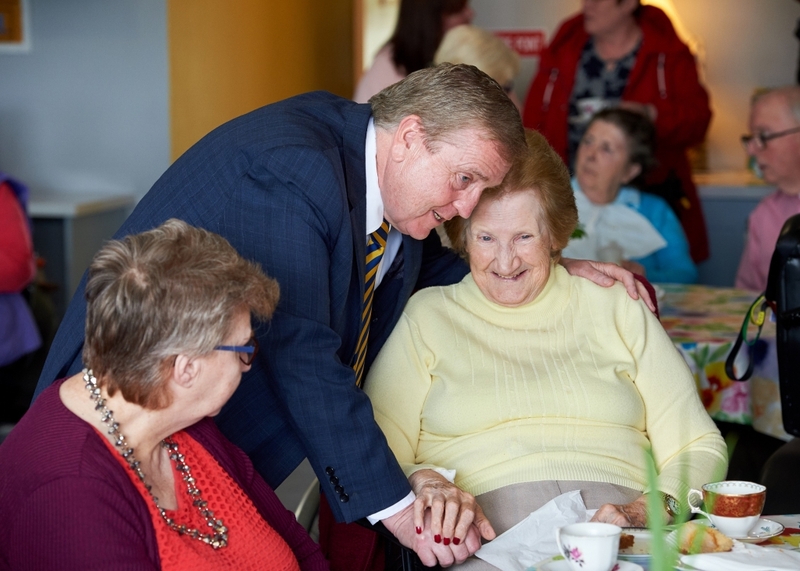 Pat Breen, Minister of State at the Department of Enterprise and Innovation cuts the tape at the official opening of the newly refurbished Activity Room in Carrigoran House to celebrate them being national award winners for their Social And Recreation programme as part of annual Nursing Homes Week. 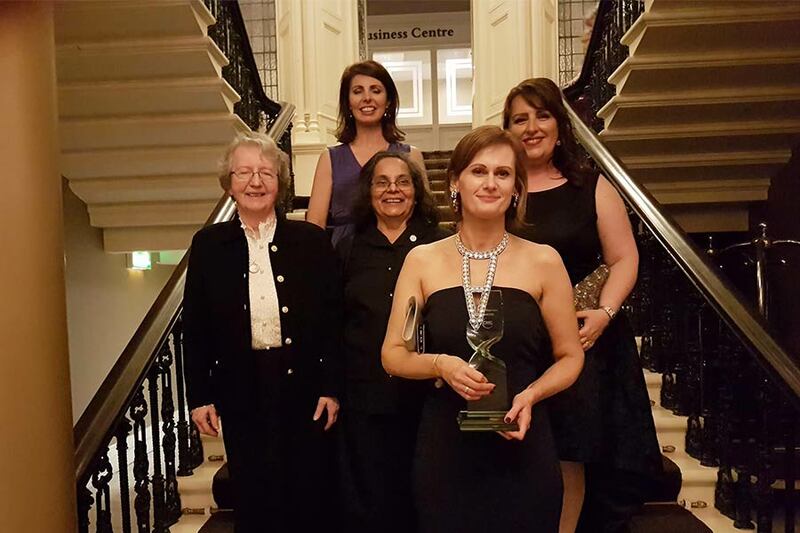 Included are from left; Sr Gerard, Lucy Egan, Valerie Vaughan CEO Carrigoran and Frances Bailey, volunteer. 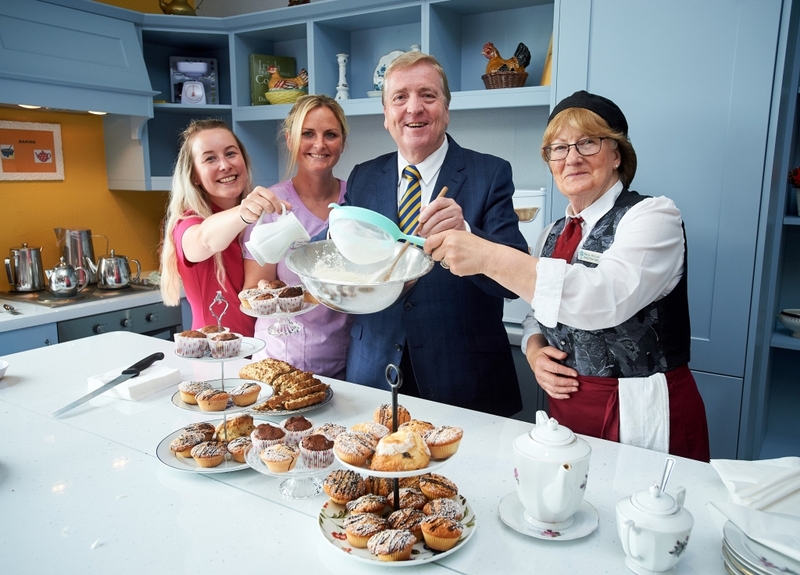 Dining Room supervisor Maura Mc Cormack, right, teaching the art of baking to Pat Breen, Minister of State at the Department of Enterprise and Innovation, during the official opening of the newly refurbished Activity Room in Carrigoran House during annual Nursing Homes Week while celebrating them being national award winners for their Social And Recreation programme . 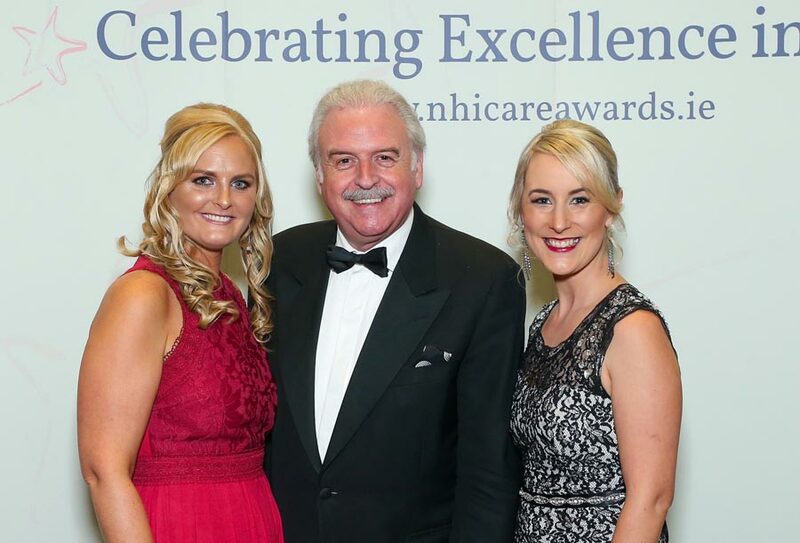 Looking on are from left; Veronica Callinan, Paula Mc Carthy. Photograph by John Kelly. 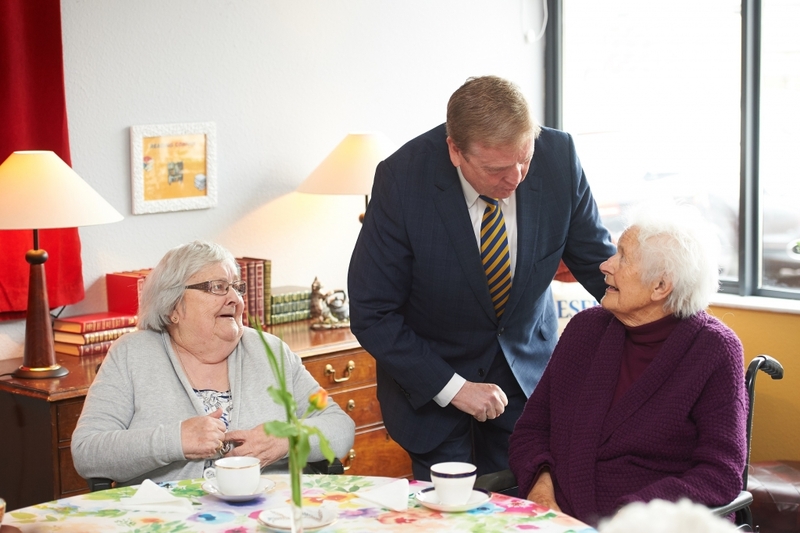 Pat Breen, Minister of State at the Department of Enterprise and Innovation chats with Nancy Power at the official opening of the newly refurbished Activity Room in Carrigoran House as part of annual Nursing Homes Week while also celebrating their national award for their Social And Recreation programme. 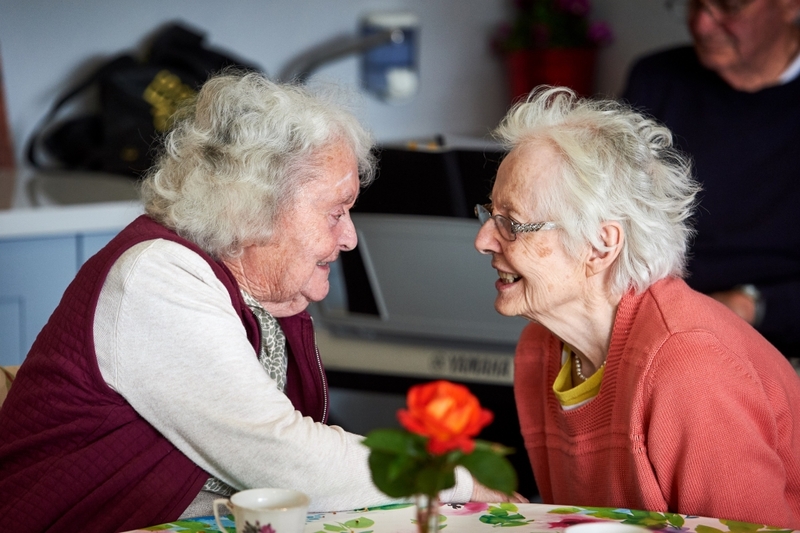 Friends Frances Moroney and Colette Griffin chatting during the official opening of the newly refurbished Activity Room in Carrigoran House during annual Nursing Homes Week while celebrating a national award win for their Social And Recreation programme. 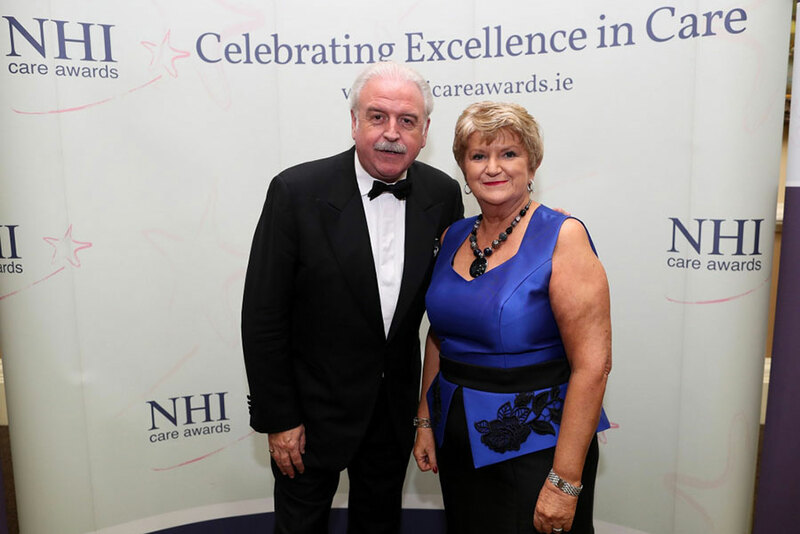 Social & Recreational Programme (2017 Nursing Homes Ireland Excellence in Care Awards). 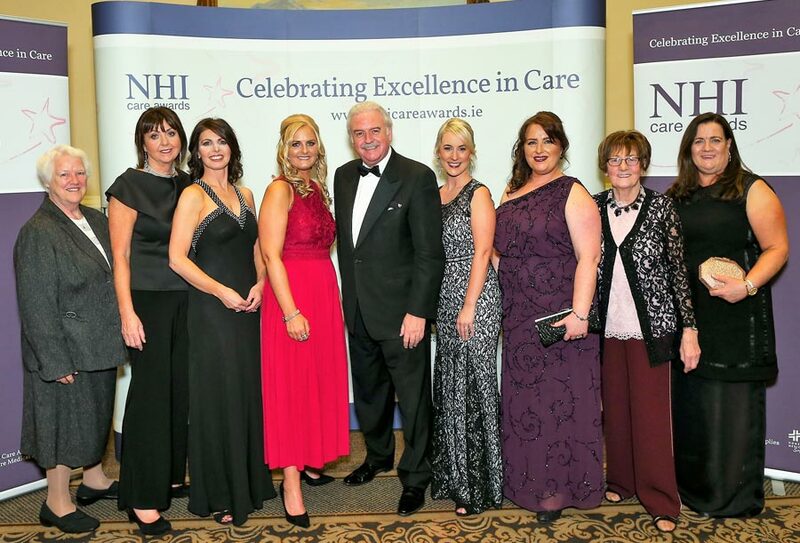 Our Activity Coordinators, Paula McCarthy and Veronica McCarthy accepted this award on behalf of Carrigoran House and its volunteers and support staff, Gina Dalton and Bernie Wolfe at the Annual NHI Excellence in Care Awards on November 16th. 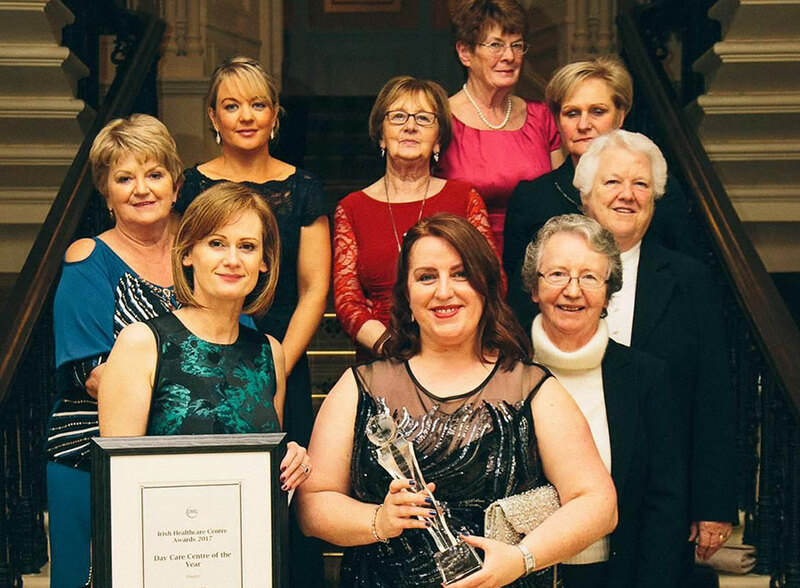 This is a wonderful achievement and we are so very proud to have all their efforts recognise. 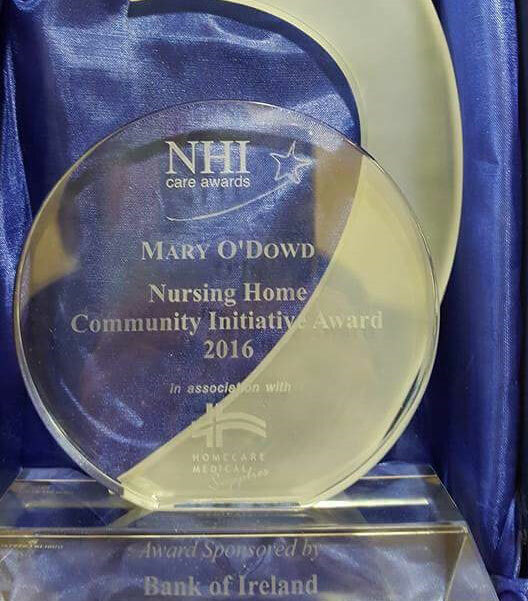 Congratulations to our colleague Mary O’Dowd who took home the “Best Community Initiative Award” held at the NHI Conference in November 2016, for her work on the Age Expo event held here at the Health & Wellness Centre, Carrigoran. 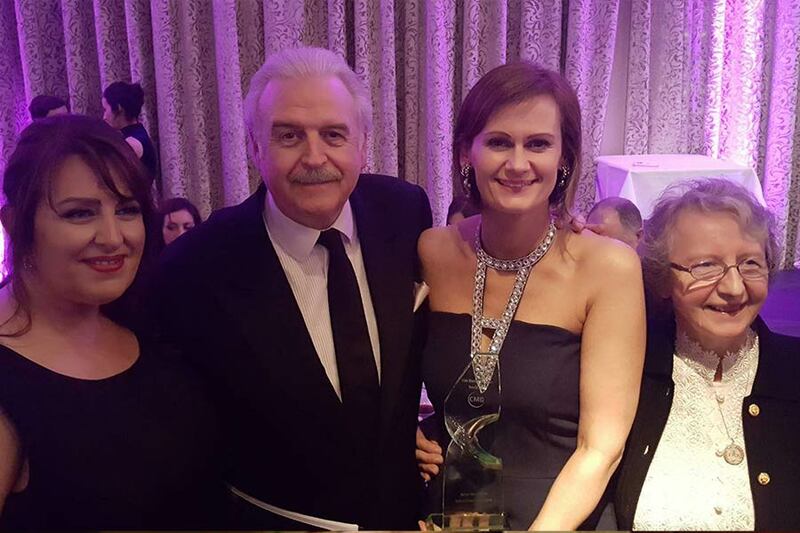 We are very proud of her and the wider team, who brought the Expo from concept to reality last April. 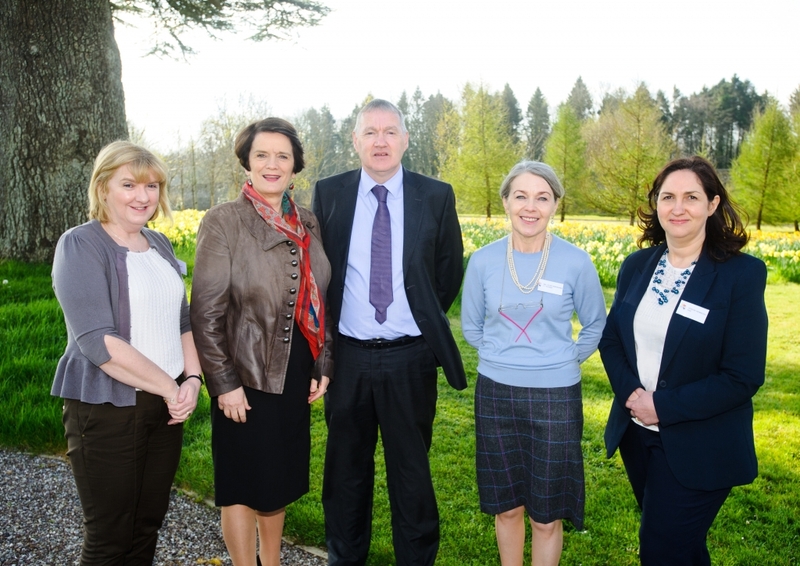 The organising committee pictured below at the launch of Clare Age Expo 2016, which will takes place on Friday April 15th and Saturday April 16th in partnership with the Clare Age Friendly County Programme, at the award winning Health &amp; Wellness Centre in Carrigoran, in New Market on Fergus. 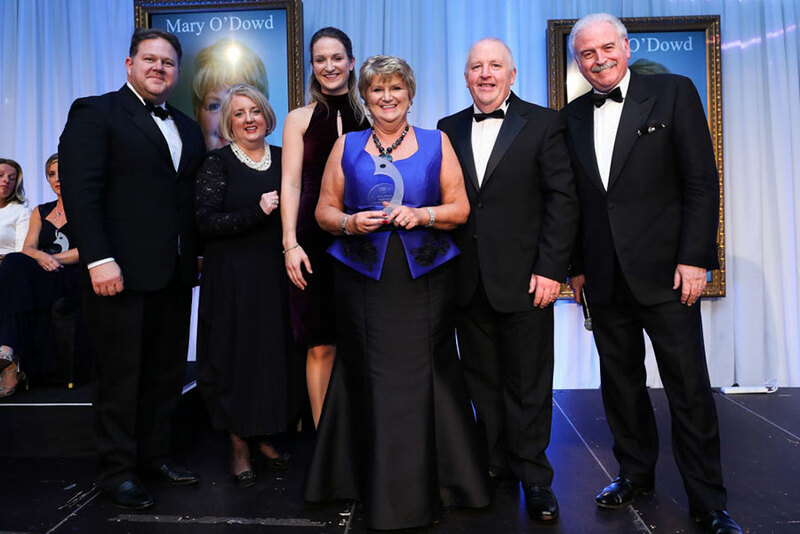 The 2 day event with free admission This 2 day event will showcase health &amp; social services in Co. Clare. 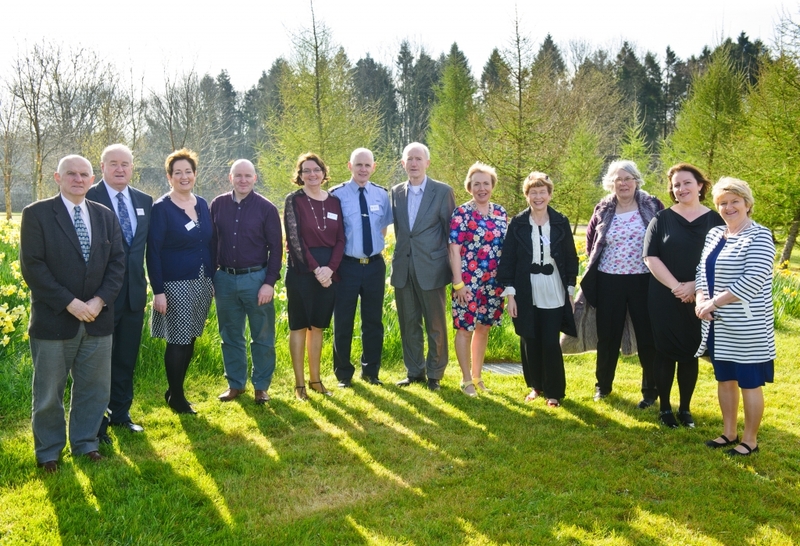 Key note speaker Dr Eamon O ‘Shea from NUIG on will address the conference on Friday April 15th and on Saturday, while events include a live exercise &amp; relaxation programme. 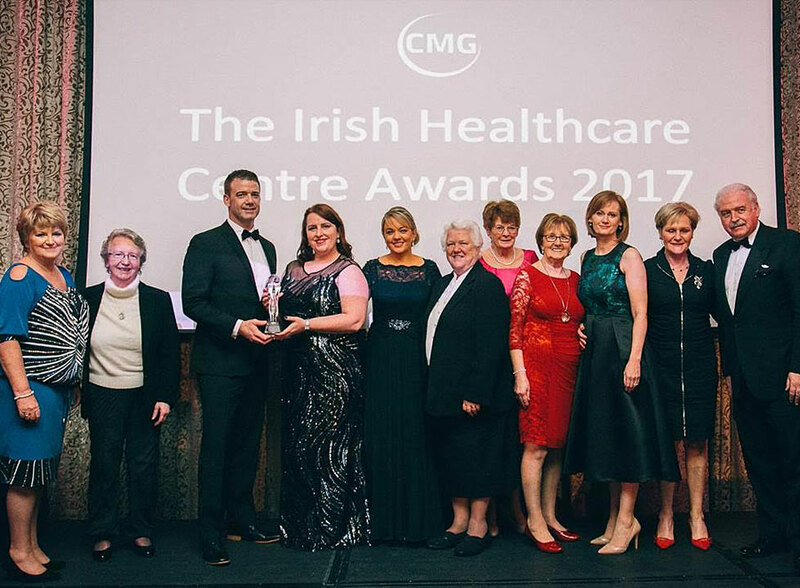 On both days, there will be a large exhibition of both voluntary &amp; commercial services in Co Clare and routine health screening will be available. To celebrate there will be a tea dance on the Saturday afternoon.